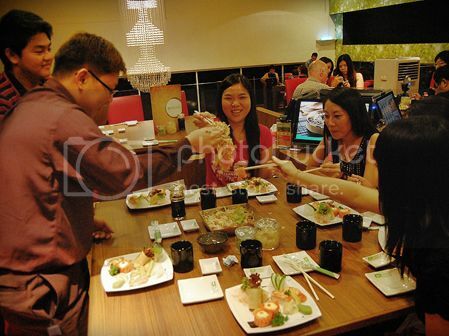 Yesterday, I went to have a Blogger Meetup session at Sakae Sushi & Teppanyaki, Auto City Penang. This event is organized by Project Penang with the purpose of gathering all bloggers together to meet, to share, & to know each other. 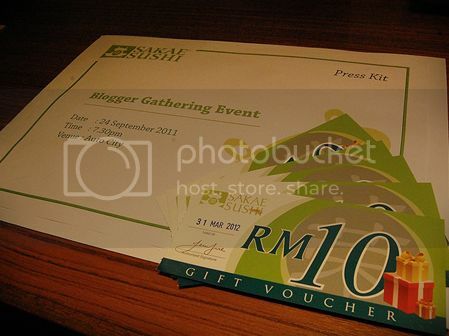 Before the event started, Sakae gave us a nice little gift, RM50 gift voucher (RM10 with 5 pcs)! 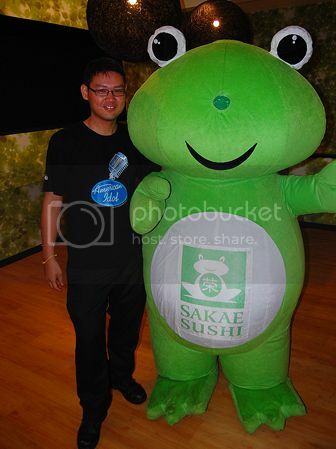 Apart from that, we had been served with various dishes by Sakae. I managed to try the menu that I have not tried before and of course they serve us very well. First of all, a house specialty which comprising of salmon, jelly fish, crisp garden-fresh greens served with plum dressing. I can see that it’s a bit of Chinese influence for the dressing. It tasted a bit like eating Yee Sang during Chinese New Year. 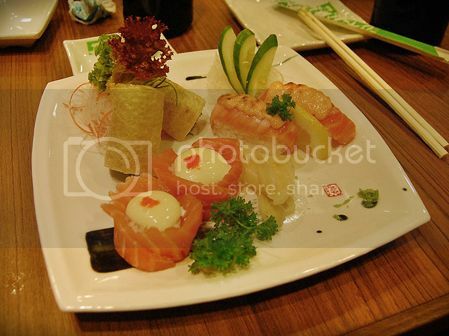 Then, we had another dish comprising of Salmon Sashimi (RM5.99), Hana Maki (RM9.99) and Soft Shell Crape Crape (RM6.99). Salmon Sashimi topped with airflown, fresh Atlantic salmon sashimi and it’s served in a very neat and presentable form as well. I was impressed with the size of it. It’s quite thick and for RM5.99 is just a perfect price. I just ate the sashimi without wasabi. It’s awesome! Hana Maki is sushi wrapped with raw salmon and topped with crafted flower & rich mayonise. The taste is very good. From the picture, you can see that the layer really thick and looks delicious enough. So, if you are Salmon lover, it must have inside your list. We also had Mango Soft Shell Crape Crape. There were some soft shell crab rolled with sweet beancurd, egg crepe, green and red coral. It also served with mango slices. This dish was rather fusion with a fruity mango taste. Of course, it would be fine taking if adding with some sushi sauce and wasabi. After that, we have been served with the Omo Tempura Soft Shell Crab (RM13.90). As you can see that, there were some soft shell crabs wrapped with egg crepe, topped with fish floss, Japanese sweet and sour sauce and mayonnaise and garnished with some bonito flakes. For me, it could be a bit crunchier to combine with the soft egg crepes. It would give you the extra kick if you can try it out with a bit of wasabi and mayonnaise mix sauce added. Next, we had the Live Lobster Mentaiyaki (100g/RM29.90). 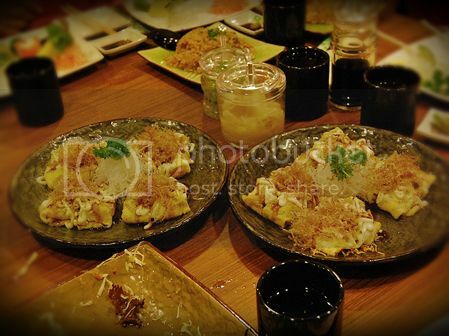 It was grilled with mentaiko sauce and baked with salt as its main attraction. It was impressed me as it’s very easy to remove the flesh from the body which had been shelled. The lobster was just nice with the burned saltiness inside. 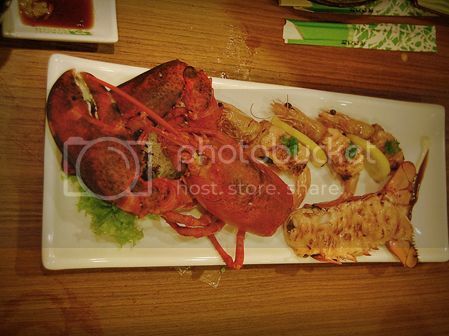 So, seafood lovers must not miss out on this scrumptious and creamy lobster. It was just heavenly. Apart from the food, I really enjoyed myself that night, especially being able to meet up with so many bloggers. 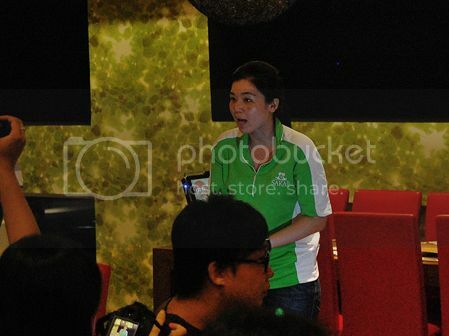 A little special thanks to Sakae’s Marketing Executive – Ranney Kok for organizing this event. And finally to all who were there! I hope I did shake hands with everyone! We end our meal with sorbet as dessert, there’re currently 3 flavors to choose from, Pineapple (RM 10.90 ++), Orange and Lemon (RM 8.90 ++). 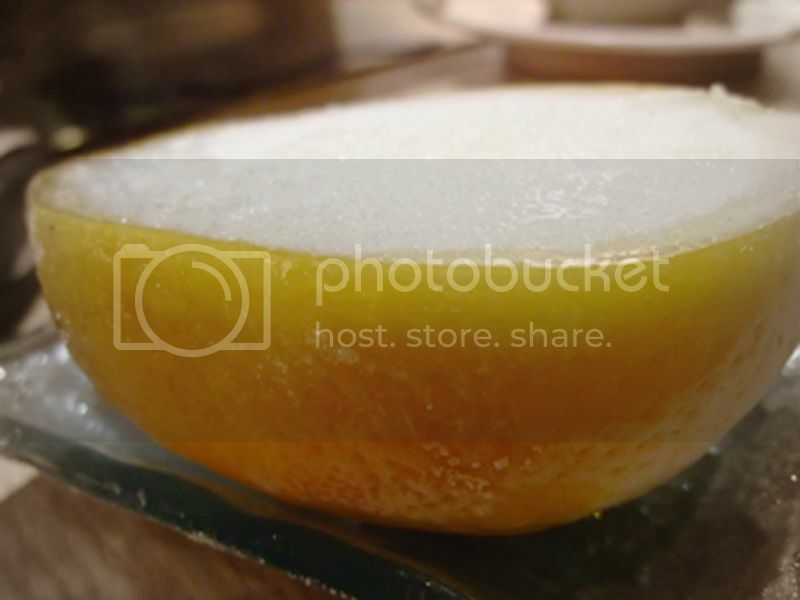 I have to say that the sorbet gave a delightful new taste, soft in texture and not too sweet. So, my recommendation for dessert is just at Sakae Sushi. 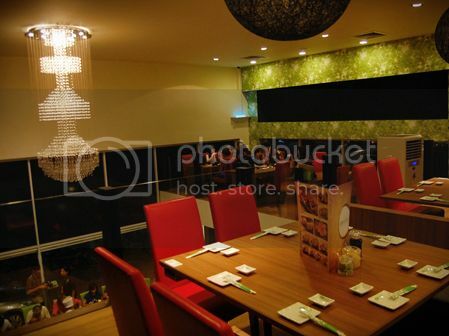 Ambience: 8/10 It’s cosy interior, clean and comfortable like other normal Japanese restaurant. Pricing: 7.5/10 It’s affordable to everyone. 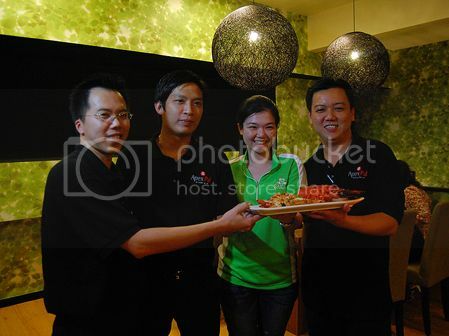 This entry was posted on Sunday, September 25th, 2011 at 5:32 pm	and is filed under Penang Event, Review. You can follow any responses to this entry through the RSS 2.0 feed. You can leave a response, or trackback from your own site.